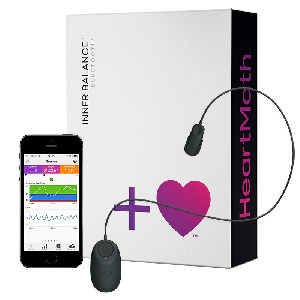 Has the same functions as the Inner Balance Bluetooth Sensor for use with the Inner Balance software (the software is downloaded for free from your App store to your mobile device). You only have to purchase the sensor. Some people prefer the wired sensor as compared to the Bluetooth sensor - it is just your own preference - again both types of sensors have the same function. This is an alternative device to the inner balance sensor that is attached to your iPhone/iPad or Android device. The emWave2 can act as a stand alone handheld device or from your desktop/laptop computer. Each device has its own features. The emWave2 has games that you can use on your computer as part of training exercises. Results from training sessions using the handheld emWave2 device can also be synched to view on your desktop/laptop computer afterwards. Describes the HeartMath training technique for transforming anxiety. Using HeartMath techniques to transform depression. 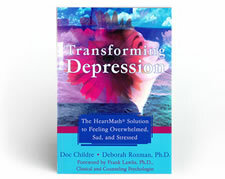 Describes the HeartMath technique to transform depression. 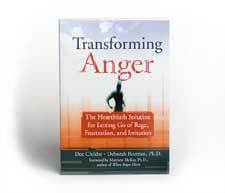 Describes the HeartMath technique to transform anger.